1. 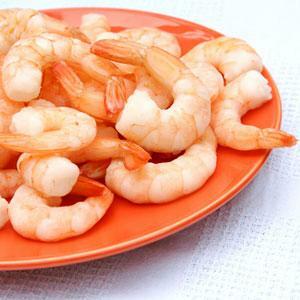 Cook prawn and grind it. 2. 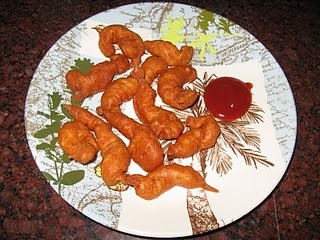 Mix Gram flour with red chily powder, garam masala, salt and Grinded prawn. 3. Heat oil in a pan and deep fry a laddle full of batter till golden brown.